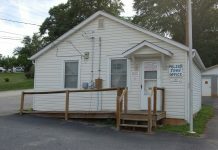 During their regular monthly meeting Monday, Pelzer Town Council talked about water and sewer rates and infrastructure and another topic of interest for a lot of residents, annexation. The meeting, which is now being held at 7 p.m. on the second Monday at the Pelzer Community Building, was attended by approximately 25 people. Council members heard information from ReWa Executive Director Ray Orvin. Orvin said ReWa’s state-of-the-art Piedmont treatment facility is just over one year old and has treatment capacity available for growth and expansion. He said the facility is outputing “high quality water” which is considered a renewable resource which can be used for industrial, irrigation and land application processes. He invited the council to meet with members of the ReWa Board as part of a new Relationship Committee that has been established to generate better relations and open discussion with town councils they serve. Orvin also said ReWa will have a small general rate increase in March which Pelzer water/sewer customers will see reflected on their bill. Responding to a question about rates from a member of the audience , Orvin said ReWa sets rates based on their projected costs over a five year period, with smaller increase over time, rather than one larger increase three to five years down the road. “We have a long term strategy for capitalization,” he said. Orvin also told the council that the facility is the best treatment facilty in the state and that their treatment process helps keep waste product out of the rivers and landfills. He explained that byproducts of the treatment process can be used for fertilizer through land application. The process is currently saving the company, and customers, approximately $250,000 in tipping fees that would have been paid to a landfill. He also said that converting methane gas energy for combined heat and power is providing approximately $180,000 in savings that would have been paid to Duke Energy. Pelzer’s Hospitality Tax was also discussed during the meeting. The two percent hospitality tax is collected on prepared food and beverages from a restaurant and a grocery store located in the town’s limits. Hospitality tax collections can be used only for tourism and recreation related expenditures. Pelzer collects approximately $14,000 each year from the tax which has been in place since 2013. Mayor Steve McGregor said the town currently does not keep proceeds from the tax, which is collected from two business locations, in a separate account. McGregor said the funds go into the general fund and are used to supplement the recreation program offered by the town. Town Clerk Heather Holcombe said that recreation remains a big expense for the town and that many of those participating in the town’s recreation programs are from surrounding areas including West Pelzer, Williamston and South Greenville County. One concern brought up by resident Gilbert Garrett, is having the hospitality tax fund in a separate account. Garrett said that in discussions with a State Municipal Association representative, he was told that the funds should be kept in a separate bank account and not put in with the general fund. “The spirit of the law does encourage separate accounts,” he said. Garrett said the funds can be used for festivals, signs and other tourism related items. Mill Town Players Executive Director Will Ragland asked how an organization can make a request or grant application to the town which could possibly be funded from the hospitality tax. Ragland said that the Mill Town Players Theater Productions, which are held in the historic Pelzer Auditorium, have the additional expense of renting sound and light equipment for each engagement. After some discussion, Town Administrator Skip Watkins said that the hospitality tax questions being raised could be looked at in the upcoming budgeting process. “We can look at what programs could be funded,” he said. He advised that he will need guidelines from council for the budgeting process. Watkins reiterated what Holcombe said earlier about the hospitality tax funds being used to support general recreation. Town Clerk Heather Holcombe saidthat the petition for annexation currently has 147 signatures, just over the 25 percent required to have the question put to a referendum vote. 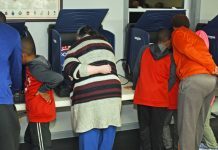 Holcombe said they will continue to collect signatures through this weekend to provide a buffer and make sure there arez enough qualified electors (registered voters) on the petition to have it certified by the Anderson County Election Commission. Any registered voter in the Pelzer voting precinct can sign the petition which is located in town hall. The proposed area of annexation is the entire Pelzer voting precinct. Residents and town officials that are for the annexation process hope that expanding the town limits to incorporate the upper and lower mill villages, will eventually help with crime and other problems. The Town of Pelzer will begin Phase 2 of their sewer upgrade soon. The town opened bids Tuesday on the sewer line upgrade project. According to Watkins, the project involves 58 residential right-of-ways. It is a USDA Rural Development grant/loan project. Total construction cost was estimated at $3.944 million when the letter of conditions was approved in 2010, however Watkins said the cost may be closer to $5 million now. The loan portion of the funding for Pelzer amounts to $1,065,000 and will be repaid over a 40 year period. Watkins said the town will be required to set aside $90,000, approximately one year of payments. They currently have $35,000 in an account for the project, Watkins said. He also added that there will be a rate increase necessary to pay back the loan. He recommended a fixed base amount and then a portion based on use. The project includes replacement of six inch, eight inch and ten inch collection sewer collection pipe serving 58 households.